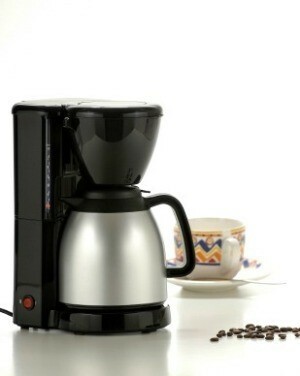 Having a sparkling clean coffee percolator and removing coffee stains can be a challenge. 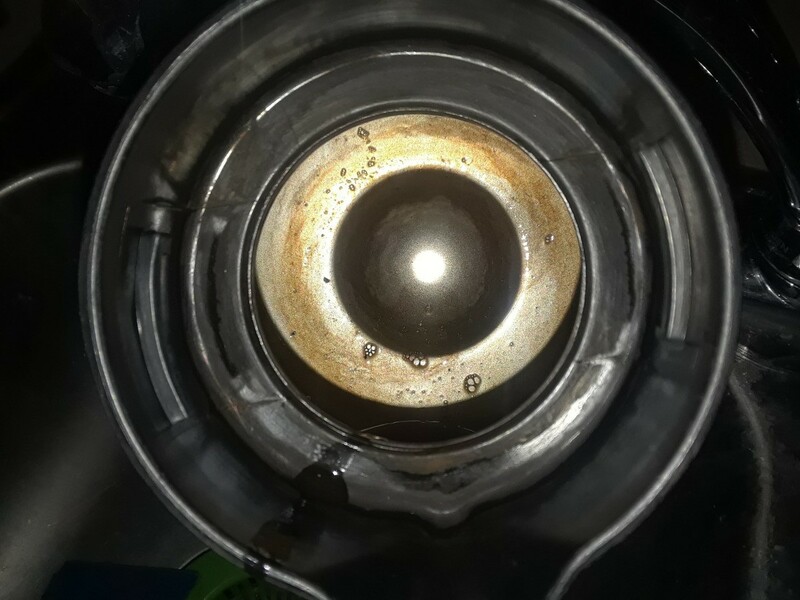 This guide is about cleaning a stainless steel coffee pot. Tired of buying expensive cleaners for your stainless steel coffeepots? Well, I don't! I just drop a dishwashing machine tablet into the pot with hot water. Let it sit for a while and rinse well. Coffee residue is gone and you have a brand new pot. There is a product called Dip It - you just pour a package along with boiling water into the pot and all the YUK will float to the surface and inside is shiny steel! The Dip It powder works so much better than the cleaner they also offer - you can find it anywhere! 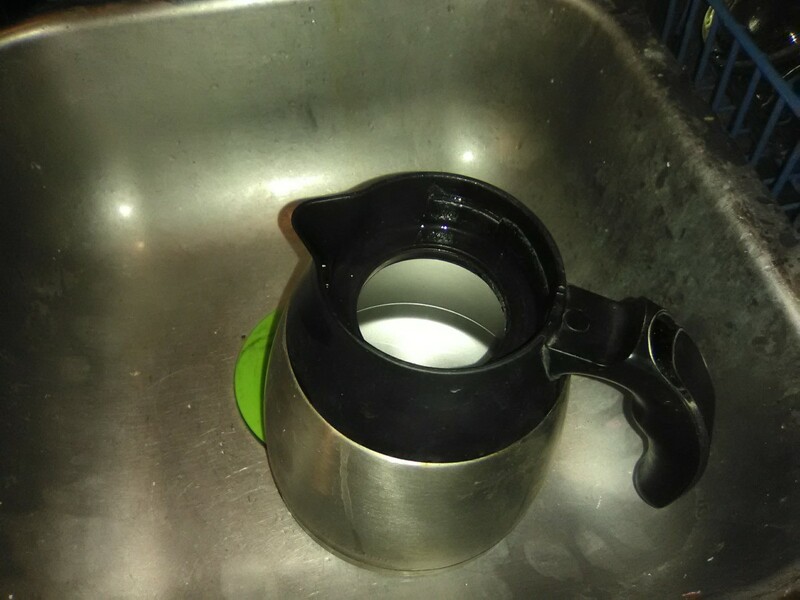 I know a lot of you drink coffee or have a coffee maker in your home, and I'm sure some of you own the stainless steel kind, or even the glass ones with the spout so small you can barely get your hand in to scrub it clean. Even with small hands I still had a hard time getting my hand in one to scrub those old black coffee stains that had accumulated over time. So here is a, very simple and no effort at all, home remedy to get it spotless. Boil some water or fill up the coffee maker and just boil the water. When it's done, put in a dishwashing tablet, the powdered kind, not the liquid. I use Cascade or Finish, if it's a tablet and not the jelly kind, just toss one in there. If it's powdered use just about 2 tablespoons and let that sit for 30 minutes. You don't have to periodically stir it. Just let it sit and do its magic. 30 minutes later pour it out and rinse with water to get all the soap out. And viola, it's sparkling and you didn't have to use any elbow grease. To clean inside of stainless steel coffee pot, take a hand held kitchen wand. Place a steel wool pad of your choice over the scrubbing pad attached to the wand. 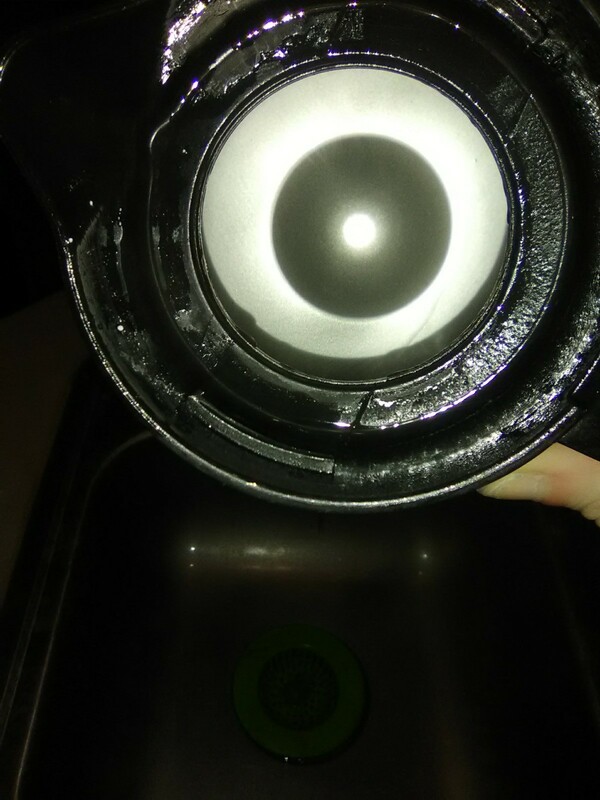 I have seen a lot of solutions for cleaning the inside of a pot, but the outside of my pot has grease (from frying bacon I assume) and coffee stains that cling and I can't get them off. Any suggestions? Thanks. because it was so dirty. The lady who worked there gave me the fabulous advice to use the Magic Eraser. I use baking soda for cleaning all sorts of things. You could try that or vinegar? I would scrub gently though if using the baking soda. Make a paste of baking soda and hydrogen peroxide and apply to the surface. Allow to sit for a few hours. Remove and scrub with a non-metal scrubber. Just use whatever cleaner you normally use to take off burnt-on stains. Ammonia or oven cleaner would be my choice. Going organic? Use vinegar soak it with vinegar and then scrub with two breasts or Brillo pad. Run through a pot of water of baking soda and water. A full pot of water and a 1/2 cup of baking soda. I clean my coffee maker once a month this way. Then you can use the water to clean the outside using paper towels dipped into the water and baking soda. 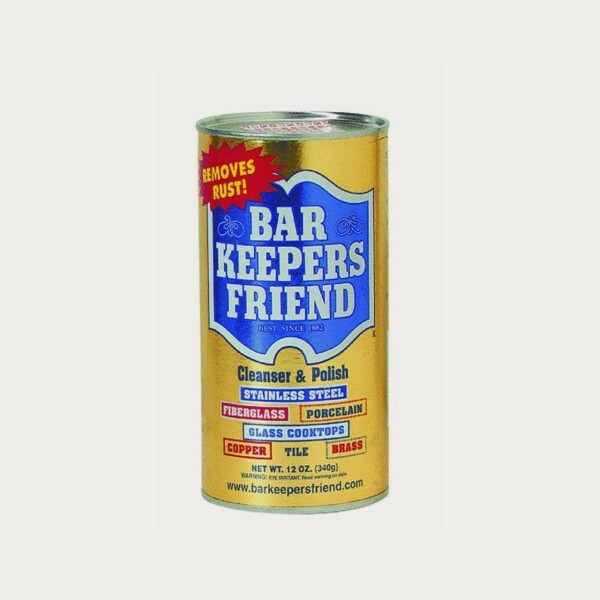 Bar Keepers Friend may work. It is mildly acidic. Best of luck. How do I clean a stainless steel coffee carafe? Have you tried Bicarbonate of Soda? I use this a lot for cleaning mine and it works a treat! Dab a little Bicarb onto a damp cloth and rub gently, it seems to work for me! And it's not full of nasties either! I put bleach, a very small pinch of dish soap & fill with hot water, put cover on tight, shake then let sit, rinse thoroughly after about 10-15 mins depending on amt of bleach used & severity of stains. I find this the best way when can't get a dish cloth, etc into opening of container. I do this for badly stained coffee mugs - just rinse well. Hello, some good suggestions but be careful with using bleach as it will many times take the protective "coating" off items and they will just restain faster as the "shine" is gone. It is safe to use on glass and ceramic types like coffee cups and thermos items. I'll try oven spray on my coffee pot. Wonder of wonders, the pot cleaned up beautifully in less than 15 minutes. 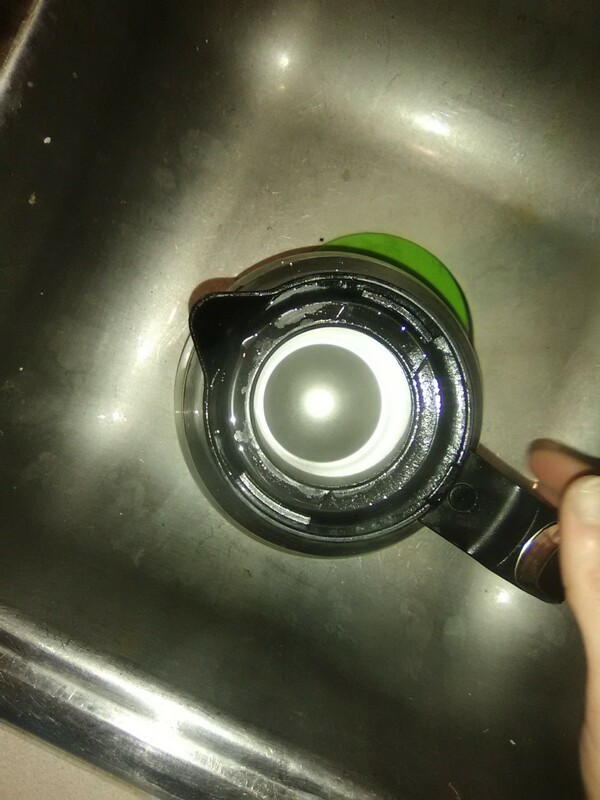 How do I remove coffee stains from the inside of a Cuisinart stainless steel insulated coffee pot? Nothing seems to be working and now it is very dark. Try baking soda and water mix. 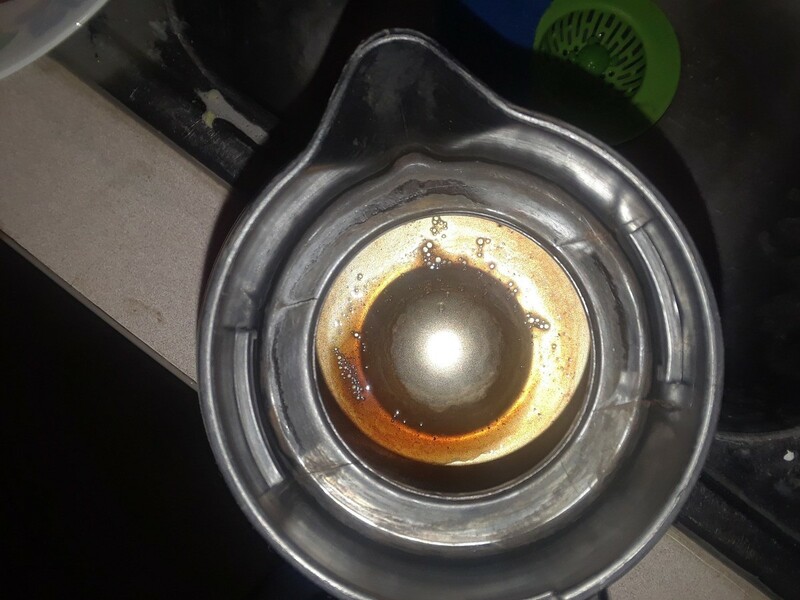 Does anyone have a recipe for cleaning the inside of a stainless steel coffee pot? 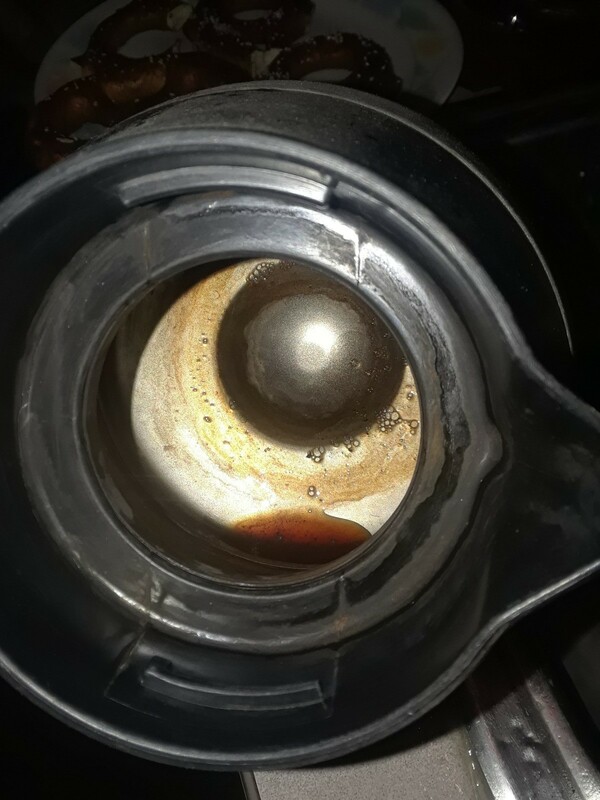 How do I clean my stainless steel coffee pot? I use one in my dishwater for scrubbing pots and pans. Works like a charm, and you can use the hottest tap water without burning yourself.